When you first set up your site, one of the first things you will likely do is adjust its look and feel. You want to put your mark on your site by uploading your logo, configuring your settings, and perhaps making some changes to your theme. But once you've done all of that and added some content, your site might still not seem quite the way you want it to or quite like your own. Chances are, you haven't considered some other key aspects of your site's branding. The photographs you choose to use on your site go a long way toward conveying your brand's vision. Think closely about the hero image you select and what you want it to say (depending on your theme, it may appear in slideshows as well). Are you going for elegant, practical, beautiful, environmentally friendly, high tech, or something else entirely? What do you want your site's visitors to take away about your brand when they see your hero? The hero image helps sell a message about your brand. Item images will also occupy prominent space on your site. If your item images look good, they'll help make the rest of your site look good, too. You don't need a special or expensive camera to take nice looking item images. In fact, natural light and your smartphone will work just fine. Tip: Try to create a repeatable process. Once you have the right lighting and background, save time by shooting images for multiple products or be sure you can easily recreate the same conditions later on. The product images will share the same consistent look, helping to avoiding discrepancies which can be jarring. If you've ever seen item images side by side that look like they were shot in different conditions, you know how bad this can look. Tools like Photoshop can also help you refine any image you use on your site. Don't neglect other images that appear throughout your site, even if they are not front and center. If somebody visits your informational pages, such as your About Us page or your Sales Policy page, the images they see there will also leave an impression. By the time visitors are looking for more information about your shop, you really want to win them over with thoughtful photographs that are consistent with your overall branding. An image that looks out of place may be enough to make a shopper think twice about doing business with you. While there are many good stock photo sights on the web, stay away from images that look like stock photos. Once you've picked out the right images, be sure to optimize them. The website tinypng.com has a great online tool for compressing your images. Compressed images load faster. We know that fast-loading pages are an important part of SEO, and nothing can slow a page like an image that hasn't been optimized. It's easy to take the copy on your site for granted. But copy is an important opportunity to brand your site. Just like you should have an overall image in mind when you choose your images, your copy should have an overall personality that reflects the image you want your brand to convey. By knowing the image you want your brand to convey, you can establish a tone and personality. This allows you to keep your messaging consistent throughout your site. Telling stories is an excellent way to make your copy stand out. 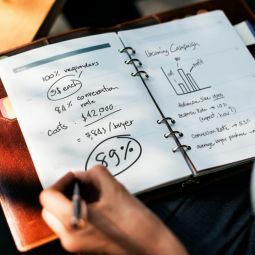 In an online shop, you have to pick and choose where to tell your stories, but you might be able to fit a few real-world accounts into your product descriptions. If you're selling a barbeque sauce and the voice of your site comes from you, the owner, you could incorporate a family barbeque sauce story somewhere in the sauce's item description. Stories like these tend to be impactful. Using the blog on your site, there is almost no limit to the opportunities you have to make your products more relatable or even entertaining. Your About Us page is also a great opportunity to tell the story about your brand. Another key consideration for branding through copy is word choice. In order to know what you want your branding to convey, you must have an idea the audience you want to target. Keep this audience in mind at all times when writing copy and choose words that will appeal to them. If you're selling luxury goods, for example, try to use words that convey luxury. Knowing your audience allows you to speak to them. Branding your site goes beyond your theme and design choices. Images and copy you write are an extension of your brand, and a highly visible extension at that. To maximize your site's branding, know your brand, its audience, and the image you want to convey.